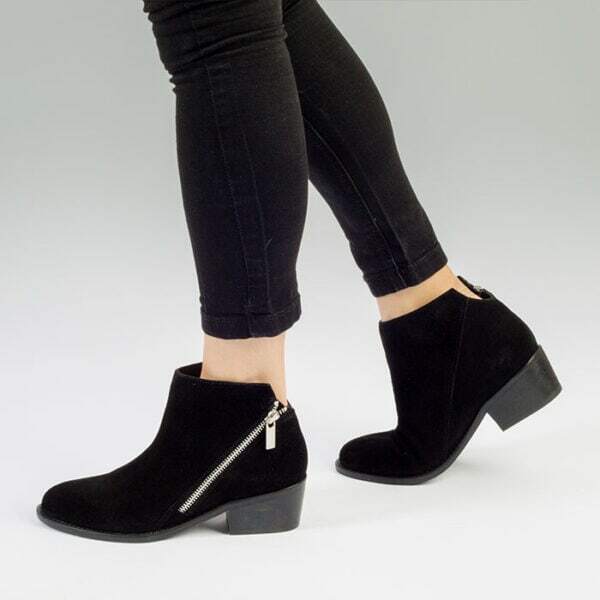 Our latest beauty is the ultimate bootie for sleek style through the season! What better way to dress up a classic pair than with a printed dress or your go-to skinniest skinnies! When you’re not sure what to wear and you’re running out of time, a low stacked heel is the way to go! Quincy by FLM features a pointed toe, low stacked heel, side zipper closure and a padded memory foam insole for comfort. Available in Black and Tan Leather Suede.